This set was a gift and the recipient loved them. They seem to be of good quality and scottie dog is adorable. I received them quickly and they were protected by plastic. Add a touch of holiday hotel and spa luxury to your life when you sink into the padded elegance of this gorgeous bath-robe and hand-towel set. 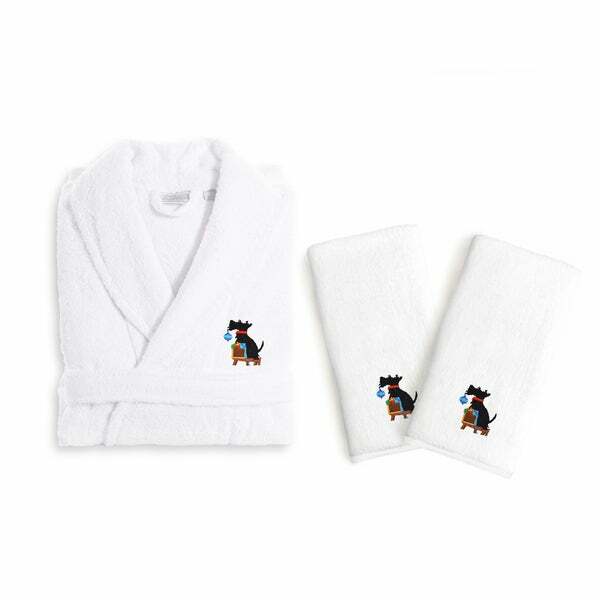 Made of exquisite Turkish cotton, this set features an embroidered Scottie dog with Christmas ornaments for the perfect dash of charm and character. Let this superb set complete your home this holiday season.